Utilizing our most powerful motor, the MegaVac defines industrial strength. 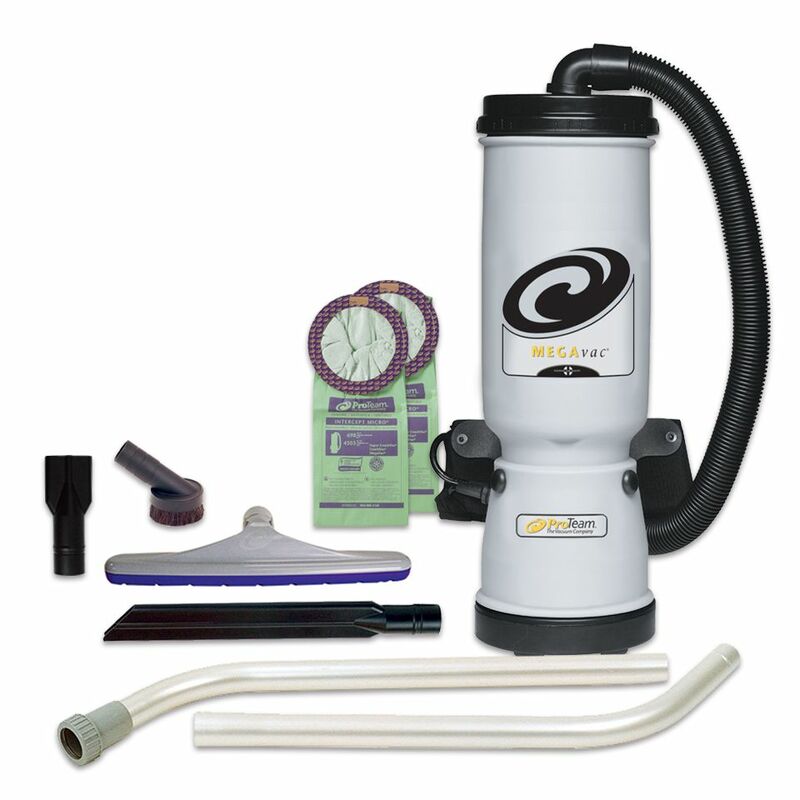 The versatile design allows for quick conversion into a high powered blower while the huge filter capacity contains large amounts of debris. This unit is a “must have” tool in many large industrial facilities and commercial construction sites. Includes: 1 1/2” static-dissipating vacuum hose, 50’ extension cord, and two Intercept Micro® Filters. Warranty: Carries an unmatched 3/3/3/Life warranty - 3 years on parts, labor and motor and life on the molded body parts.